James P. Cantrell first sensed that the Celtic cultural heritage was the primary source of Southern culture while researching his master's thesis. After learning the Gaelic and Cymric (Welsh variation) languages—in order to specialize in Irish literature while working for his M.A. at the University of North Carolina at Chapel Hill—Mr. Cantrell recognized many surnames of Celtic origin common to his native Middle Tennessee, a region primarily settled by immigrants from Wales, Ireland, and Scotland. Further reading about Celtic folk culture revealed social behavior similar to what he knew from his own upbringing in the hill country. Mr. Cantrell pursued his theory, despite surprisingly strong opposition from some academics, and found further evidence in the writings of many great Southern writers, including Faulkner and O'Conner. How Celtic Culture Invented Southern Literature disproves the common perception, prevalent in American universities, that the culture of white Southerners springs from English, or Anglo-Norman, roots. 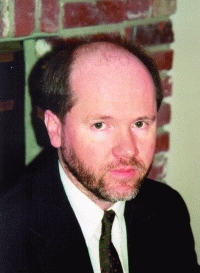 Mr. Cantrell has contributed essays and book reviews to several magazines and scholarly journals including Eire-Ireland, The Irish Worldwide, and online at www.lewrockwell.com. He graduated from Middle Tennessee State University. Mr. Cantrell earned his Ph.D. in American literature with an emphasis on Southern literature from the University of Arkansas, where he received the Blair Rouse Scholarship and James J. Hudson Dissertation Fellowship. This book, his first, has its roots in his doctoral studies; the field has been greatly expanded over the years. Mr. Cantrell is a native of Warren County who currently lives in Germantown, Tennessee, with his wife of twenty years and their two sons. This seminal book of literary criticism challenges the common perception that the culture of white Southerners springs from English, or Anglo-Norman, roots. Mr. Cantrell presents persuasive historical and literary evidence that it was the South’s Celtic—Irish, Scots, Welsh, or Scots-Irish—settlers who had the greatest influence on Southern culture, and their vibrant spirit is still felt today.